The 2nd car about to go out for practice. MOORESVILLE, N.C. (February 10, 2016) – Empire Racing Group (ERG) will have two chances to reach Victory Lane during the ARCA Racing Series presented by Menards season opener at Daytona International Speedway Saturday, February 13. 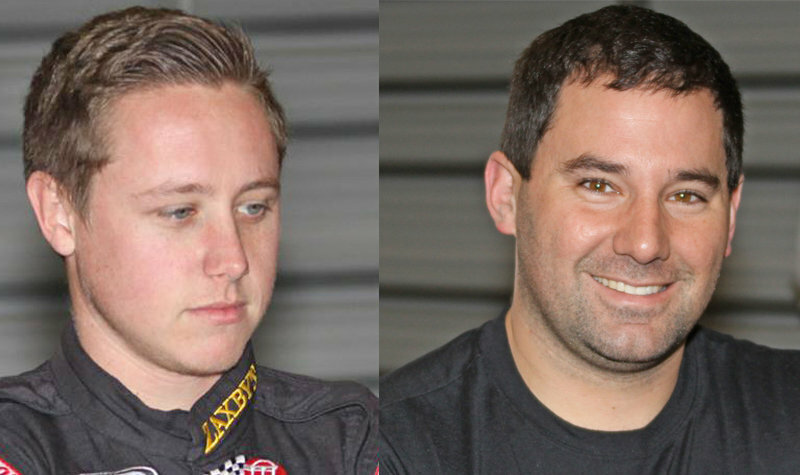 Series veteran Sean Corr and rookie Dylan Lupton will team up for the 53rd running of the Lucas Oil 200 Driven By General Tire, live on FS1. 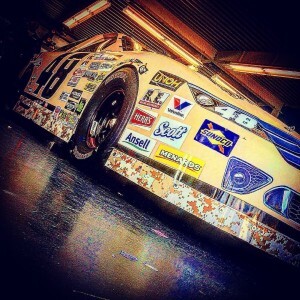 Both Corr and Lupton participated in the ARCA open test in mid-January. Crew chief Mike “Grumpy” Cheek oversaw the effort. “The test in January went really well for us, one of the smoothest I’ve ever been a part of,” said Cheek. Corr, a 31-year-old Goshen, N.Y. native, earned the Menards Pole presented by Ansell at Daytona in 2012 and finished a career-best fifth at Daytona in 2013. Corr will be piloting the No. 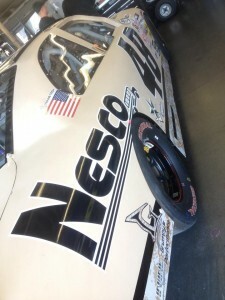 48 car for ERG, with NESCO, Transgroup, Grumpy’s Performance and Support Our Troops on the car. 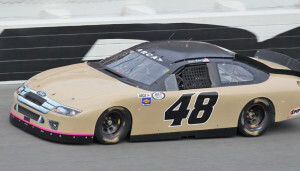 NASCAR Sprint Cup and ARCA Racing Series veteran James Hylton is listed as Corr’s car owner on the 48, the same number Hylton utilized throughout his career. Joining Corr will be Dylan Lupton, a familiar face to the racing scene. 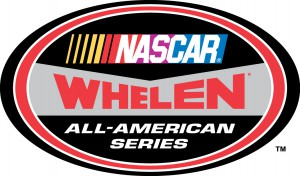 The 22-year-old Wilton, Calif. native has competed in everything from karting and late models to the NASCAR K&N Pro Series East and West and XFINITY Series. The Lucas Oil 200 will be Lupton’s first race in the ARCA Racing Series. Lupton’s first ARCA Racing Series event will also be his first race at Daytona. The superspeedway is unlike any track he’s raced at before, but Lupton is confident he will be able to succeed in the race. The 53rd annual Lucas Oil 200 at Daytona is live on FS1 Saturday, February 13 and precedes NASCAR’s same-night Sprint Unlimited. The ARCA Racing Series takes to the track for practice Thursday from 4:00 – 6:00 p.m. Menards Pole Qualifying presented by Ansell is scheduled for 3:30 p.m. Friday following final practice Friday morning (9:30 – 10:30 a.m.). 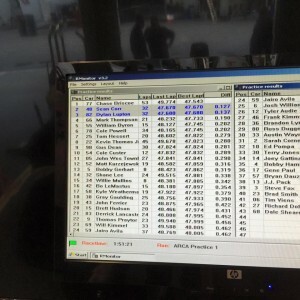 ARCAracing.com will feature live timing and scoring and live chat for all on-track activities. 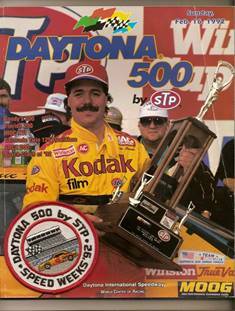 Irvan is a retired American stock car racing driver. A former competitor in NASCAR, he is best remembered for his comeback after a serious head injury at Michigan International Speedway. He is inducted in numerous halls of fame and was named one of NASCAR’s 50 Greatest Drivers in 1998.